If you’re not a blogger or don’t write on a regular basis, you should. It doesn’t have to be difficult to write, you don’t have to have a website, you don’t even have to have a topic to write about. The easiest way to write and continue to write is just to simply comment on posts you read. It’s not possible to read a post and have nothing to say or no thoughts about it. You can’t read something and have an absolute blank mind. Not even I could do that and I’m the kind of spacing out while reading. If you do by any chance find you read something and have nothing to say, you can just write a few lines about what you enjoyed about the post. If you didn’t enjoy it and it was the worst way you could have spent that 5 minutes, that may be the only excuse not to comment. It’s possible to write a novel in the comments section, I’ve done it. It’s not necessary though. You can do a novel’s worth of writing by commenting on most posts you read and writing a few lines. The benefit you receive from those few lines can add up over time to writing a novel. You could write a novel just by commenting, just add up all the comments you’ve made over time. Think of all that content you’ve written just in comments and all the wonderful topics it could spin into later. When you read a post, you’re paying attention to what you read, you’re learning something even if it’s small. The problem is you will move on and the previous post has now become fuzzy in your brain. Over time you lose most of what you’ve ready. Now imagine after you’ve read that same post, you write a brief comment saying what you liked about it, maybe restating in your own words what you liked the most. That process of reflecting on what you’ve read and putting it down in words helps your learning process. The ideas expressed in the post have now been expressed in your own words and make more sense to you. By writing a simple comment you can increase your learning and evolve your thinking with a few lines. It’s really a no brainer, your brain will be better off if you reflect and make that comment. Speaking about writing a novel, when you comment on most posts you read, you’ve soon written enough to have written a novel. Not only that but you’re sharing that information with everyone, allowing yourself to get input on your thoughts and writing. Practice makes perfect. At least practice brings you one step closer to perfect which is elusive and constantly moving further away at best. If you have plans to someday start a blog then commenting on posts is the perfect way to build up to it. Every comment makes it easier to comment and write more. It sort of spirals out of control and soon your ideas are flowing out of your fingers like magic. If you ever had the fear of running out of things to write about in a blog, have no worry, the more you write the more you have things to write about. A sure way to have enough topics to write about is to read more, comment more, and get your mind and fingers working to allow the words to flow. There is an exception to the rule of commenting. If you don’t heed the exception that you may regret it and question whether commenting is the thing to do. The exception I have discovered is to never comment on posts from extremely high traffic sources, especially when the material is controversial and the audience is the public. I made the mistake of commenting on a post on Wired which quickly spiraled into my mailbox being overwhelmed. The conversation didn’t get out of hand with trolls and such, but I know it can easily do that. When it’s controversial and the audience is huge, you’re asking for a large amount of trolls and those that are stubborn and will argue their thought no matter what the evidence otherwise. Let’s just say cognitive dissonance is a powerful force that’s not to be messed with. Maybe this exception doesn’t apply to everyone, maybe there are exceptions to the exception. I just don’t find the need to ever get into a flame war, I’d rather just walk away. I’m not perfect in my track record to comment on posts I read. I’ve been working on getting better, but I’m still way off. The best you can do is try. Make it a point to try to comment more. Go out and read a post, something that sounds interesting. Whether you have something to say about the topic or not, comment. Start down the path of better learning, better reflection, and more things to say. The best way to work better is to get smarter about the way you work. Reading and writing are the best ways to work smarter. 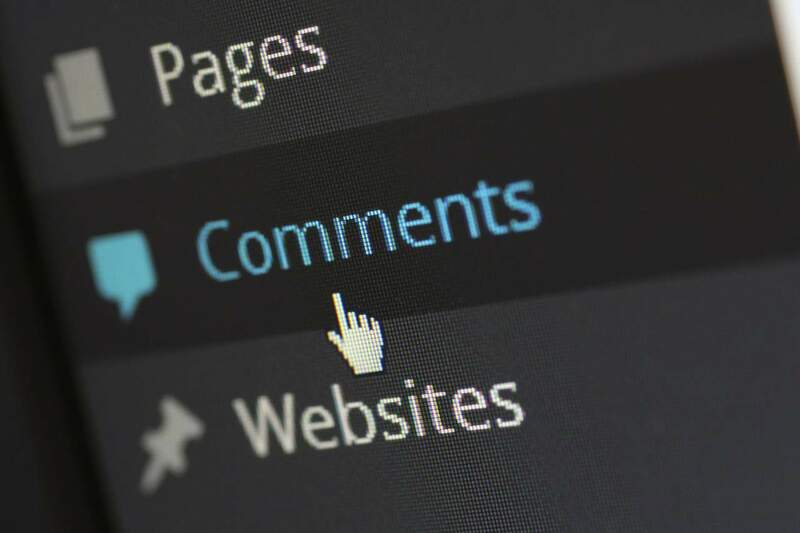 How have you benefited from commenting? Don’t be shy, you can leave a comment below.